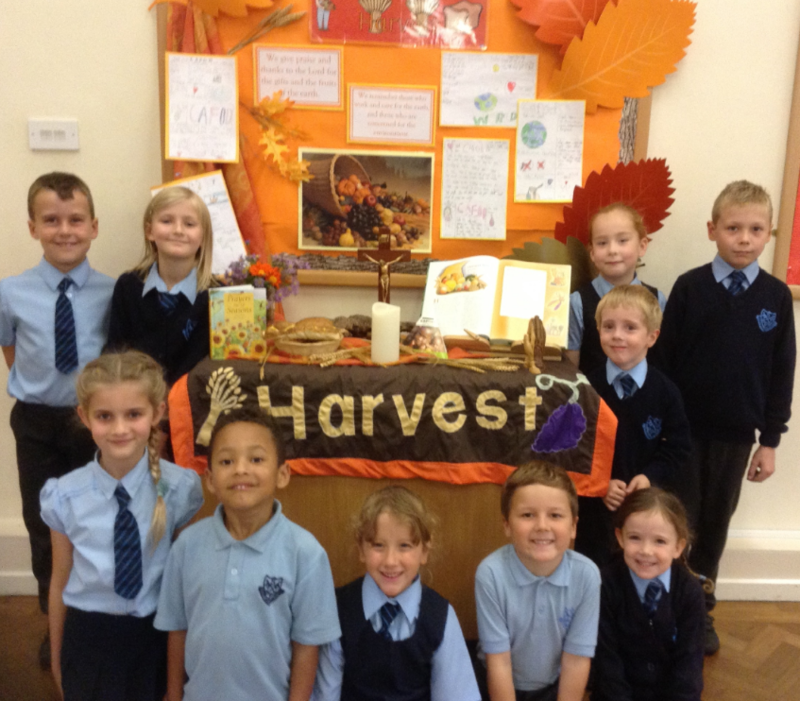 On Friday morning the children, staff and parents at St. Peter’s Catholic First School (Academy) celebrated their Harvest Mass in St. Peter’s Church. The children were invited to bring gifts of food into school throughout the week. Dried goods, tins, jars and fresh produce were sent in abundance. A Harvest Loaf and food hampers were then raffled during the Celebration assembly with the proceeds going towards CAFOD to provide food and resources for third world countries.